St Patrick’s College, Strathfield has a long tradition of raising funds for those in need during the Season of Lent – a time for prayer, fasting and charity. All money raised at the College is for others, seeking to improve lives and grow awareness of the justice issues that surround us. This year we focused on our local community and global partners considering poverty and disability. Edmund Rice Camps NSW – who provide holiday and weekend opportunities for children and their families who experience marginalisation and isolation. 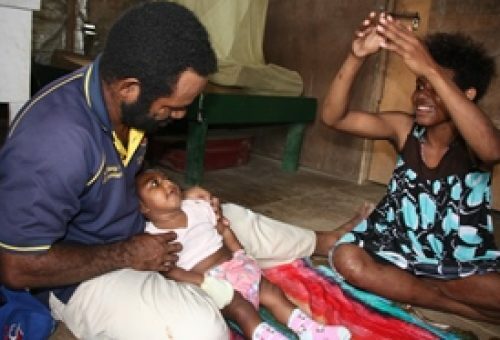 Callan Service, Papua New Guinea – providers of care and support for people with disabilities in PNG who are often ignored and neglected. They gain little support, but are in great need. The Edmund Rice Life Training Centre in Papua New Guinea and the local community – we share a relationship with this institution that offers young men who cannot go to school an opportunity to learn life skills and support their families and villages. We visit and spend time with the people of this centre and the surrounding community, learning and immersing ourselves in a different culture. We aim to support the community so they may continue to support themselves. As a College community we raised over $70,000 for our Partners above through a variety of methods.